Valentine’s Day is almost a month away and we are immensely excited to once again be part of your special celebrations. It’s been a long-lasting tradition to surprise your beloved one with a romantic dinner, flowers, gifts and of course, a lovely card to wrap everything up with. The age of traditional “I Love You” cards went long gone the moment iGreet implemented augmented reality into greeting cards. 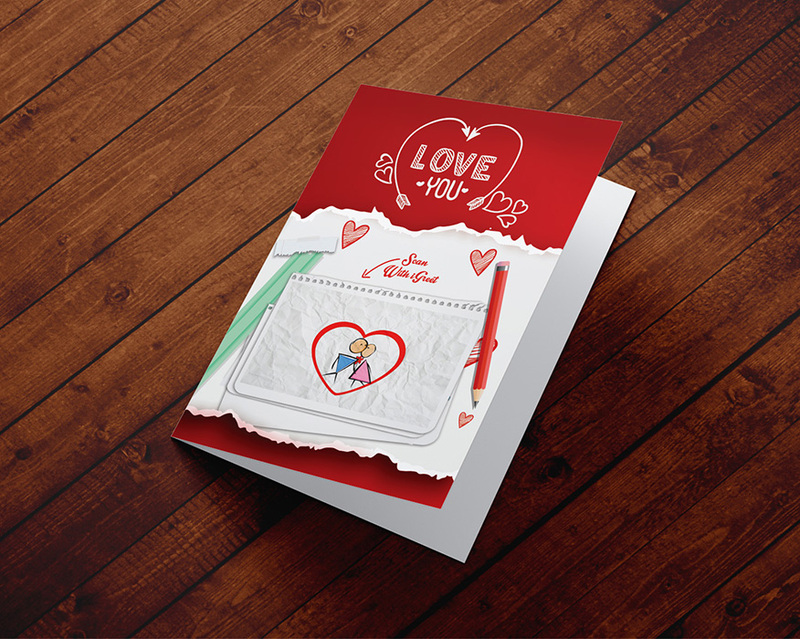 A static love card is a classic, however now you can bring so much more excitement to someone you adore with a card that sings, moves, dances, and comes to life right in front of you. Augmented reality is capable of creating magical, personalized feeling that no ordinary card can. That’s why for this Valentine’s Day we challenge you and your perceptions of greetings cards with our iGreet designs. Still, since we love to love so much, we wanted to cherry-pick three of our favorite Valentine’s Day cards and let you know why you need to step up your Valentine’s Day game by picking one of them. Who says a guy should be the only one to give cards to his girlfriend on Valentine’s Day? Show how much your man means to you with our “You are My Universe” iGreet card. Let him scan the card with the iGreet app and feel the love coming out of his screen. We live in a world where long distance relationships turn into one of the most common types of relationships, due to work, school, university, family reasons and more. If, however, two people love each other they will always find a way to showcase it, no matter the distance. iGreet turned two pandas into a love story with the “I’ll Cross the World” augmented reality card. Surprise your beloved with a visit this Valentine’s Day and make it extra special and memorable with this card. For couples who love tradition and simplicity we can’t think of a better Valentine’s Day augmented reality card than this one. “Love Story” is a romantic portrayal of the genuine happiness and warmth a single kiss and a single flower can bring to your loved ones. This entry was posted in Uncategorized and tagged augmented reality, greeting cards, valentinesday.